Lift to Lose: Cedar Rapids, IA: The M.A.C. While many view cardio as the go-to for weight loss, MAC member Thad Ramsey is taking a road less traveled. Lifting. While lifting is often associated with mass gains, strength training can be a phenomenal way to increase lean muscle mass (and your basal metabolic rate!) and decrease body fat. And Thad is our resident expert! 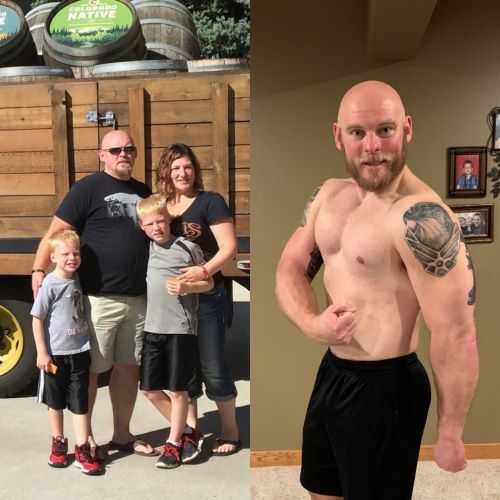 As the male winner of the MAC’s annual Transformation Challenge, Thad lost a total of 18.6 lb, is down 7% body fat, gained 0.3lb in muscle AND increased the number of pullups he can complete over a mere 8 weeks. Thad contributes his success in the Transformation Challenge to multiple areas. For those of you curious about the rest of Thad’s routine, you’re not alone! With such amazing results, we wanted to know his secrets too. Phew! Three days of lifting on his own, and 3 days of trainer-led exercise?! How does he keep up with it? Thad, we are so proud of the hard work you have accomplished, and the positive attitude and perspective you continue to share. From all of us here at The MAC, congratulations on being the male 2018 Transformation Challenge winner!